Yes! 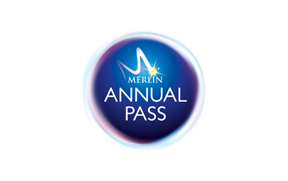 As a Merlin Annual Pass holder your are entitled to 25% off admission for up to four friends or family members per visit to Merlin Entertainments Attraction in Australia and New Zealand*. A valid Merlin Annual Pass must be presented to redeem. Please note this offer is not valid in conjunction with any other offer, discount or promotion. The friends and family ticket is for Standard entry only. Tickets are valid for one visit to the specified attraction.